SonAmy. . Wallpaper and background images in the SonAmy club tagged: sonic and amy sonamy. 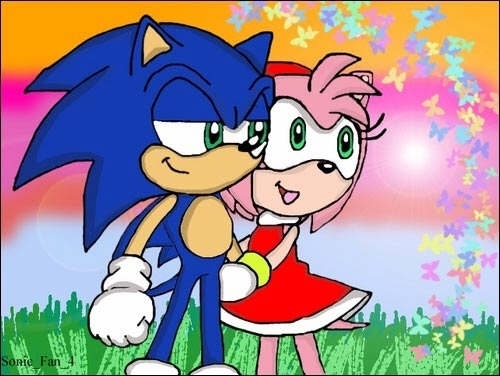 This SonAmy fan art contains anime, bande dessinée, manga, and dessin animé. looks like.. well it looks like.. them with mother nature i guess?